As we age, our teeth gradually succumb to the effects of our actions and our environment. Enamel deteriorates and can begin to show signs of yellowing, staining, and other discoloration as early as your mid-20s. If you often find yourself covering your mouth when you laugh or avoid smiling altogether, you’re not alone. Millions of Americans report feeling dissatisfied with the appearance of their teeth. 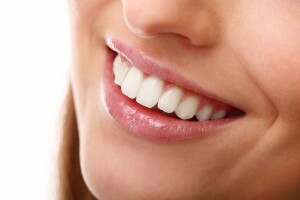 At his office in Westfield, NJ, Dr. David M. Weinman offers professional teeth whitening treatments that restore your smile’s natural beauty and your confidence – all in a way that suits your lifestyle. There are a number of reasons that teeth may become dull, yellow, or otherwise stained, resulting in a lackluster smile that you’re less than pleased to show off. Red wine, tea, coffee, and soft drinks are common culprits, as are tobacco and certain antibiotic medications. Fortunately, modern dental technology allows your local cosmetic dentistry professional to turn back the hands of time with teeth whitening services that fit into your busy schedule. For your convenience and comfort, Dr. Weinman offers two smile brightening options that promise dramatic, lasting results. The first teeth whitening method – an in-office treatment that takes about an hour to complete – is perfect for patients who want a brighter, more luminescent smile as soon as possible. Have a big job interview next week? What about a graduation, wedding, or class reunion? We welcome you to sit in one of our many comfortable dental chairs and relax while the Boost whitening system lifts years of stains from your teeth. For patients who’d rather whiten their teeth in the comfort of their own homes, Dr. Weinman offers a convenient solution that can prove just as effective as in-office whitening. With our take-home whitening system, you simply apply the advanced tooth-brightening formula when it’s easiest for you. We’ll customize a set of comfortable, easy-to-use trays that fit your unique dentition, providing exceptional whitening results in as little as two weeks. Whether you’ve spent years feeling unhappy with your smile, or you simply want to show off brighter, whiter teeth for an upcoming special occasion, Dr. Weinman and his team can help. Contact our office in Westfield, NJ today to find out how our comprehensive selection of advanced cosmetic dentistry options can help you. Our conveniently located practice also proudly serves patients from surrounding communities in Mountainside, Cranford, Scotch Plains, Fanwood, and beyond. We can’t wait to see your beautiful smile!